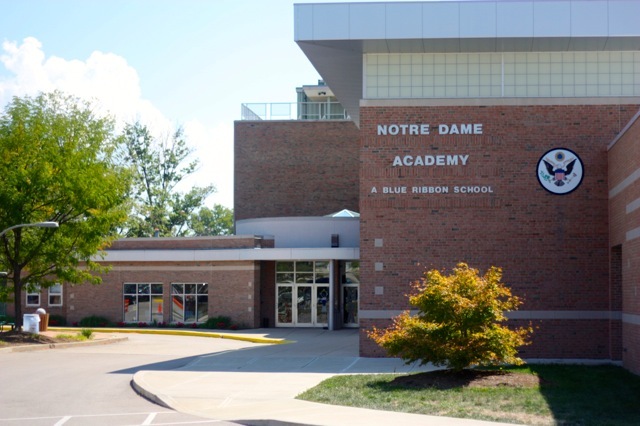 Notre Dame Academy is a Catholic, all-girls, college-preparatory high school within the Diocese of Covington, sponsored by the Sisters of Notre Dame of Covington, Kentucky. Notre Dame Academy provides a premier education infused with the spirit of St. Julie Billiart proclaiming God’s goodness and provident care. At NDA, we have a strong academic tradition of empowering young women to make a difference in the world. Notre Dame Academy helps develop each student in an environment that fosters growth of the whole person. Our curriculum is designed to challenge the abilities of our students while captivating their interests. The NDA community strives to instill in young women not only knowledge, but also spiritual and moral values that will prepare them for a life of success, community service and personal fulfillment.